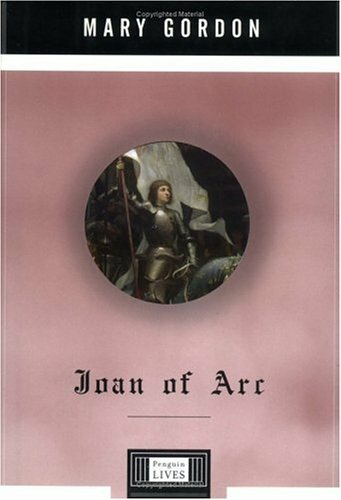 What is it with Joan of Arc? The image of the girl in shining armour at the head of a victorious army is extraordinarily familiar; yet is so alien as to be practically impenetrable. Even so, playwrights and film makers from Brecht to Besson have been unable to resist trying to explain the appeal of this wildly unlikely teenager, usually by portraying her as some sort of uber babe like Milla Jovovich or Ingrid Bergman. Novelists too have tried to explain Joan's power and it is with a novelist's skill that Mary Gordon succeeds in producing a succinct, clear and thrilling life. Writing what she calls a "biographical meditation" Mary Gordon manages to combine a real sense of the headlong speed of Joan's public career with a thoughtful analysis of how she achieved all she did and why she retains such fascination today.